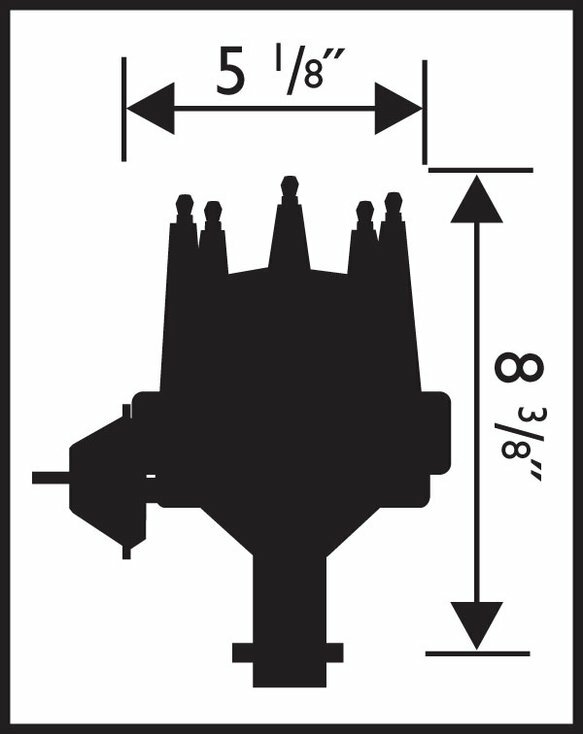 If you're looking for a performance distributor for your Nailhead your search is over! MSD's Ready-to-Run Distributor incorporates a magnetic pickup that never wears out! 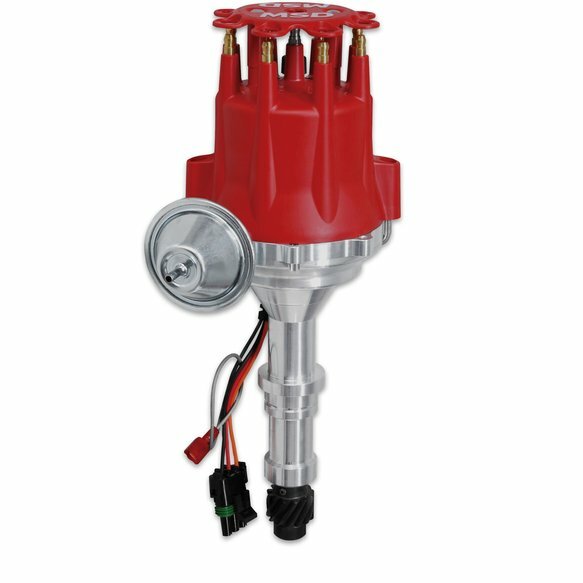 Plus, the distributor has a built in ignition module so there is no need to mount an external MSD Ignition Control. Not only do you get the benefits of electronic triggering, but your engine will awaken with the powerful sparks from the ignition module. This module delivers up to 7.5 amps to the coil creating a stout inductive spark. This improves combustion of the fuel mixture resulting in quick starts, a smooth idle and great performance! Another advantage of an MSD Distributor is the accurate and adjustable mechanical advance assembly. The advance curve is easy to adjust with different advance springs and stop bushings which are included. To top it off there is a vacuum advance canister and MSD's strong cap and wire retainer. The Ready-to-Run Distributor comes with a matching 3-pin harness making installation simple. All that it takes is routing two wires to the coil and one to ground! For use with Pro Billet and Ready to Run Distributors w/Vacuum Advance. Does not fit PN 8365/83653 and PN 8362/83623.